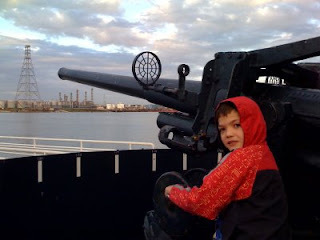 He can't join the Navy, his mom and I were married before he was born. It's fun, but it's not life changing. Gather stuff, build ever more powerful stuff, upgrade that, blow stuff up. Sometimes I think it's a Blizzard title, but then I remember it's not. Plusses: Not having to actually gather stuff. Just upgrade your depot/warehouse/thingy that stores stuff and it comes to you. Optionally, gather crates you find about the map. Minusses: The controls are quite good for a console, but you will always pine for a mouse and keyboard. Worth downloading the demo to be sure. Here's my pitch: how about a game where you are a reporter on the front lines? That's a new one. Capture your footage without getting killed. Have different views and events you have to capture on camera. Put those camera and mic console attachments to good use and the game puts the real you in front of ingame footage you've captured. Post your 'reports' automatically to youtube. No? I'm hoping some band will actually use these names, and that I will get a licensing agreement. You know how you're talking about something, and some sort of weird phrase springs forth (like "Springs Forth"...hey, Springfork might make a good band name) and you say: "Man that'd be a great band name!...it's better than 'Coldplay'. So, feel free to add on, if you have one with a restriction: it must have come from some sort of communication, and Springforked into existence unintentionally. Bonus points if you can tell the story of how it Springforked. Like most big companies, with a large span of control, you don't always get what you want as a consumer. Apple can be some of the worst offenders, yet at the same time make very good stuff. And a lot of their stuff uses open standards. AAC vs. MP3? Well, just use a higher bitrate, IMHO. I don't have a golden ear. 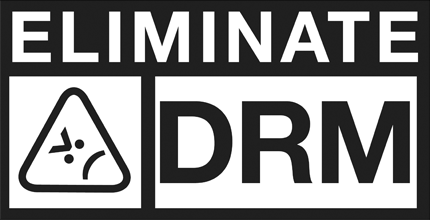 Here's the thing that bugs me: they announced no more DRM, but I just downloaded a song (a FREE giveaway!) that made me authorize my PC to play it. I listened to it once and then deleted it. It wasn't a bad song, but Apple can keep that crap. Check the Amazon MP3 store is my recurring advice. Play it, copy it, burn it, whatever. PLEASE don't pirate. Just wait on the bargains. Like the free / cheap stuff they have all the time. I've forgotten more posts in a day than you make in a week. Here's some stuff in no particular order cuz it's a Lazy Sunday. 1. 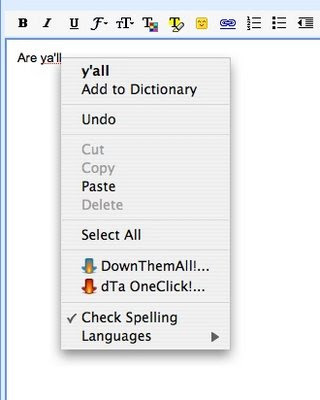 I'm glad someone from the south had a hand in making my spell checker. 2. Hate removing splinters from your finger? Do so with surgical precision with a jeweler's loupe. (Ironically, 'loupe' isn't in my spellchecker's library. But 'y'all' is.) It makes removing the splinter a lot easier and nearly painless. Unless you have a log in there, neighbor. You can see exactly what you're doing vs. blind jabbing with the needle. It's One of those things you should just have around the house. If you visit your local tools-imported-from-China hardware store, you might score a single loupe for the princely sum of 99 cents like I did. 3. Dangit, now I can't remember #3. Oh, yeah, you know how you get dry scrambled eggs because detecting that microsecond between an undercooked snot consistency and silly putty chunks is the way of eggery? Just add a little spring water back in so they're moist. Or distilled or whatever. From the faucet if you've quality H20. In a related note, Jimmy Dean in addition to some fine sausage, now makes a pre-made egg mixin' called 'Skillets' that consists of cooked bacon, bell pepper, onions, potatoes, etc. for us so inclined lazies. and who'd a thunk, only HALF the calories are from fat! Well, it's beats the sausage rolls.